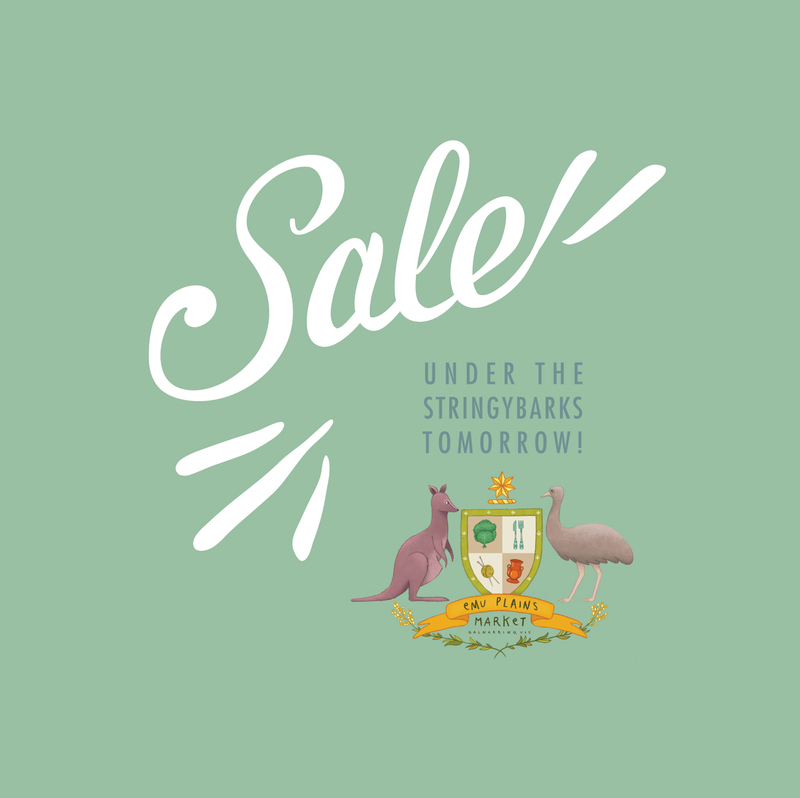 $25 SALE we're so excited to be back at the Emu Plains Market on Saturday and we're celebrating by hosting an exclusive SALE with all styles reduced for one day only!! Over 100 bracelets and necklaces will be reduced to only $20 or $25 each!! All pieces are current stock and only one or two of most styles available. Our last $25 market sale was HUGE and we sold out of almost every style.. be early so you don't miss out! - all sales will be CASH ONLY - SALE exclusive to the EPM 11/6 - no rainchecks - no holds. To celebrate the winter market this Saturday we will be giving away 2 of our newest Ivory Ink temporary tattoo packs to two lucky winners!! I will be setting my alarm for two random times during the market hours of 9am ~ 2pm and whoever I am serving at the time of the alarm going off will win!! Oh the excitement!! Who knows when these alarms will be going off?! We will be offering EMP market goers 50-80% off RRP across all styles. Crazy we know, but why not! We are bringing to EMU our new Cool Tee Yarn, The Bijuterie for the very first time (they will be listed after the EPM). They are the big bobbins, each Tee Yarn has 3 or 4 colours, each one is unique, as they are different from each other, and perfect for jewellery makers and creators. We would like to offer our tea infuser bottles 400ml at a special price of $30 with any herbal tea purchase. RRP is $35. We are offering Small Concrete Planters at $16.00 each, usually $18.00 OR 2 for $30.00 Plus our new jewellery cones have just been released! I'm offering 10% off my 'happy cushions' (usually rrp $70) PLUS we are offering a special on digital prints. Usually $15 each - special is 1 for $11 or 3 for $25 on limited edition digital prints.